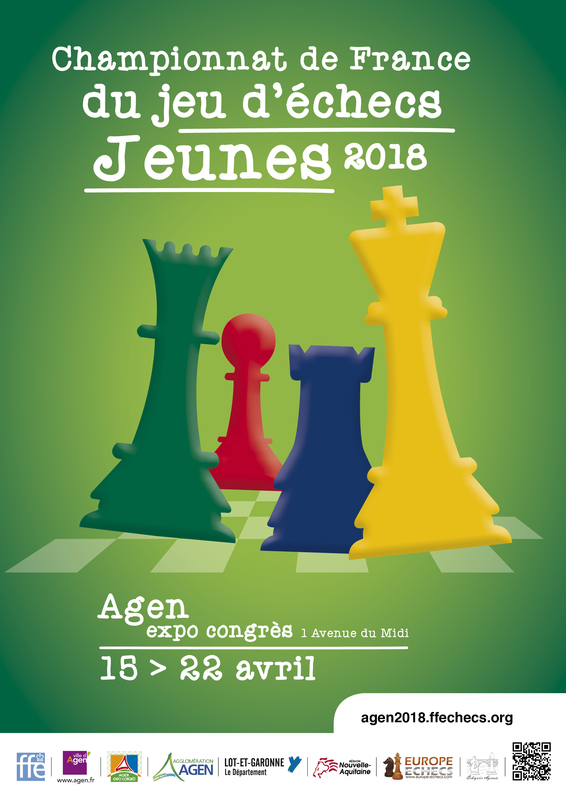 The 2018 French Youth Chess Championship will be held from 15 April to 22 April 208 in Agen. 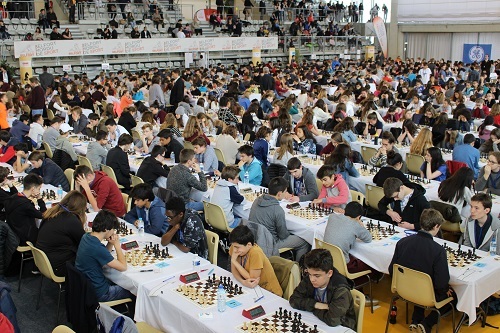 More than 1,500 young players from all over France are expected to compete. They will each play nine games, players with the most victories will win the title of French chess champion and try to get the qualifying places for the European and World Championships. Players compete by age categories, poussins and petits-poussins (less than 10 years old) will start on wednesday the 19th. The youngest players will be only five years old. The competition will host free access to the « chess village » to offer visitors and participants many activities around chess. On the Internet, it will be possible to follow the live video event on youtube, with live commentary. The official hashtag #Agen2018 will be used to follow the event. 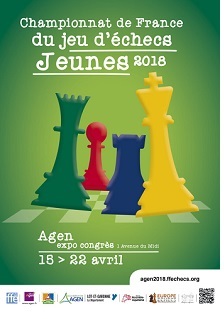 The French Youth Chess Championship is organized by l’échiquier agenais and the French Chess Federation, with the support of the city of Agen. It is the most important chess metting in France. More than 4,000 people will make the trip, including coaches and parents !